Here in Knoxville, we are very limited in the fabric department. 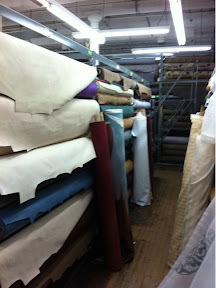 We have a great quilt fabric shop, bur not too helpful for thick upholstery fabric. Mill Agent is another option but options are very small, expensive and most need to be custom ordered in large qualities. 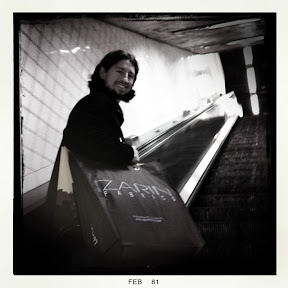 So, when Bryan picked NYC for his birthday I knew it meant I could finally get some great fabric. 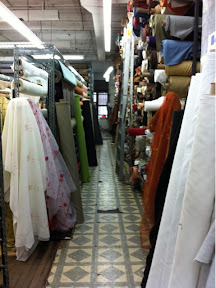 We headed downtown, close to Chinatown to Zarin Fabrics, and I didn't pick it because she is one of the housewives of NYC ( that was just a bonus). I loved the vibe, very casual New York. No fus, no fancy showroom and no overpriced fabric. The rolls and rolls were very overwhelming. I managed to select three fabrics and received great customer service. I look forward to buying more at my next visit.